Zaha was a doubt for the game after missing Palace's 2-0 defeat against Southampton with a groin injury, but he was fit enough to start and ultimately proved the difference between the two sides. Huddersfield dominated for large periods but they lacked a killer edge in front of goal, with Steve Mounie missing a great chance with a header in the first half, and Aaron Mooy rattling the post with a volley in the second. Victory for Palace means they have ended their run of league defeats while Huddersfield still await their first victory of the season. Huddersfield's gameplan throughout revolved around spraying the ball out wide to their wing-backs and whipping in crosses, and it almost worked perfectly after 17 minutes. The influential Mooy found Chris Lowe on the left wing and his inch-perfect cross was met by Mounie in the middle but he could only direct the ball over the bar with Wayne Hennessey completely stranded. Tempers started to flare midway through the first half with Lee Mason reaching for his pocket three times to caution James McArthur, Zanka Jorgensen and Zaha in quick succession. Zanka's yellow came for a cynical foul on Zaha and moments later the Palace talisman let his frustrations get the better of him by barging into Florent Hadergjonaj long after the ball had been played. That incident resulted in Zaha emerging as enemy No 1 in the eyes of the Huddersfield fans but he soon silenced their boos with a sensational solo strike. After playing a one-two with Jordan Ayew in Huddersfield's half, Zaha embarked on a slaloming run down the left before skipping inside Hadergjonaj and bending an unstoppable shot into the far corner from an acute angle. 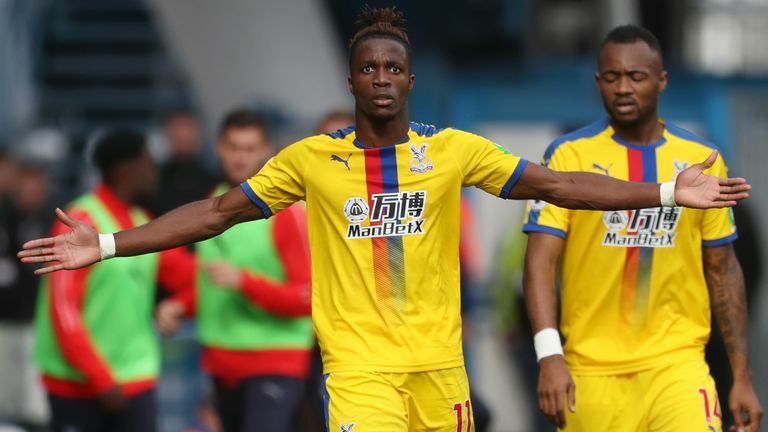 David Wagner made one change to the team that drew 1-1 with Everton as Elias Kachunga came into the side in place of Adama Diakhaby.Roy Hodgson was handed a major boost as Wilfried Zaha was passed fit to start after missing the 2-0 defeat to Southampton with a groin injury. James Tomkins also returned with Christian Benteke and Martin Kelly making way. To their credit, Huddersfield responded well to going behind and continued to dominate proceedings after the interval. Right on the hour mark they went agonisingly close to equalising when Mooy re-adjusted his body before firing a technically perfect volley onto the foot of the post with Hennessey saving the subsequent rebound attempt from Hadergjonaj. Palace always looked a threat on the counter-attack and they could have settled it when Andros Townsend led a quick break, before teeing up Ayew who miscued his shot with Zaha blazing the loose ball well over the bar. Soon after, McArthur missed another good opportunity on the counter after being teed up by Zaha while Cheikhou Kouyate had a goal ruled out for a foul on Lossl. With virtually the last kick of the game, Phillip Billing volleyed towards goal but McArthur toe-poked it just wide to ensure that Palace came away with a vital three points. The away team has won all three of the Premier League meetings between Huddersfield and Crystal Palace, making it the fixture with the best 100% record for away team victories in the competition's history. Crystal Palace have won all four of their top-flight away matches against Huddersfield, keeping a clean sheet on each trip, their best such 100% away record against a single team in the top tier of English football. Huddersfield are without a win in nine Premier League games (D4 L5), their longest run without a victory in league football since September 2015 (10). Huddersfield have lost their last three games against Crystal Palace in all competitions for the first time ever. Crystal Palace winger Wilfried Zaha has netted eight goals in his last 10 Premier League games, as many as in his previous 44. Since the start of last season, Crystal Palace have averaged 1.5 points per game when Zaha has played (33 games), compared to no points when he has been involved (10 games). Wilfried Zaha's goal was the only moment of attacking quality in the game and he, along with fellow Crystal Palace academy graduate Aaron Wan-Bissaka, was the pick of the players for the visitors. However, while Palace won the game, they didn't actually play that well. 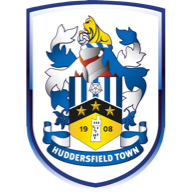 Huddersfield performed well without managing to score and at the heart of everything positive that they did was Aaron Mooy in midfield. The Australian ran the game for the hosts, pinging diagonal passes out to both flanks to initiate attacks and linking the play from back to front. He went closest to scoring for his side too with a textbook volley that hit the post and he didn't deserve to be on the losing side. The performance was good but sometimes you don't get what you deserve. I think for sure this was our best performance of the season. The players created so many good opportunities, more than we've done in the first five games combined. Apart from the last minutes when we gave some counter-attacks away, I think we controlled it defensively as well and limited them. They had one magical moment from Wilf Zaha but we should've defended better, we've seen goals like this from him before so I'm very disappointed with that situation, it was easy to avoid. He [Wilfried Zaha] was a constant threat, wasn't he? He was very close to scoring more than one goal especially early in the second half when we broke behind them on a few occasions but it's nice that he's the match-winner and it's nice that the match-winner was such a good one. He's vitally important to us, there's no doubt about that. He worries the opposition, his pace and his ability on the ball gives us that constant threat on the counter-attack if we are leading and the other team are trying to throw bodies at us. This year what he's done apart from his excellent dribbling skills and ability to go past people, he's adding goals to his game. That's yet another goal for him this season and we need people to start chipping in otherwise we'll be relying on him a little too much. 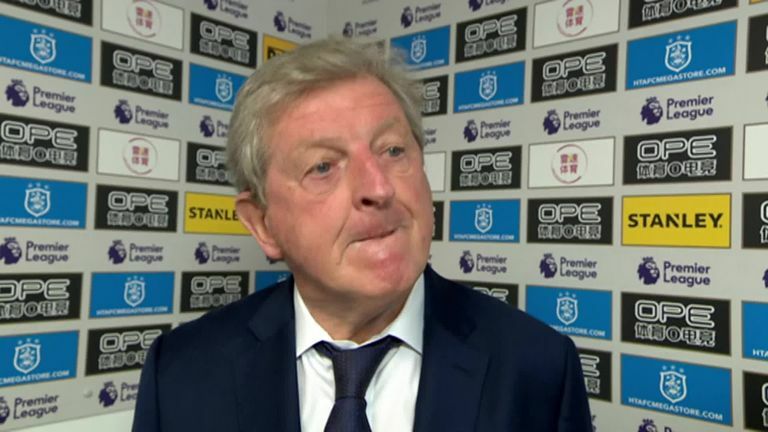 "Huddersfield were so dominant in that first half, and that Palace goal was so far against the run of play, but it was just a moment of magic from Zaha. You could say Huddersfield were unfortunate, but they did have the opportunities. Putting the ball in the back of the net seems so difficult at the minute. "When you've got someone who can do something a little different, you've always got a chance when you keep a clean sheet. Zaha was the standout footballer on that pitch today." Huddersfield are in action again next Saturday when they travel to the King Power to take on Leicester City. 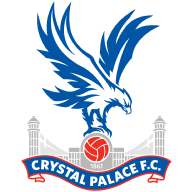 Crystal Palace are also playing that day as they entertain Newcastle United at Selhurst Park.